The annual International Monetary Fund (IMF) and World Bank meeting in Washington has highlighted and ongoing (and widening) split between finance ministers and policy-makers in the euro-zone. Following tense meetings that took place on Thursday through Sunday, German officials are clearly divided from the rest of Europe regarding how to handle the huge debt overhang overshadowing Europe’s future. The major topic of division is whether to lay the foundations of growth through saving or target sorely needed economic growth via additional borrowing. 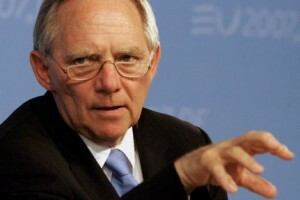 Germany’s finance minister Wolfgang Schaeuble has submitted a balanced budget for 2015 despite anaemic growth in all European nations including Germany. John Maynard Keynes admirers including the vast majority of politicians and central bankers are calling for countries in Germany’s position to raise spending despite huge existing debt levels. Just prior to the IMF meetings last Thursday, one of Europe’s chief technocrats, Mario Draghi was quoted as saying that “….governments that have fiscal space, then of course it makes sense to use it.” Senior personnel at the IMF such as Christine Lagarde as well as national finance ministers such as George Osborne (UK) and Michel Sapin (France) and Pier Carlo Padoan (Italy) have admitted their preference for Germany to take a looser approach to fiscal spending. One of the more zanier comments coming from EU finance officials this weekend was: “Greece doesn’t have a debt overhang” said an unnamed EU finance minister. Adding, “And the beauty of the system we have created is that it doesn’t cost taxpayers any money”. Clearly the European political arena contains a wide spectrum of perspectives and perceptions of economics. Mr. Schaeuble and Bundesbank President Jens Weidmann defended the German position at a press-conference in Washington on Sunday. Both men dismissed reports of political “divergence” between their country and the rest of the world as overblown. Mr. Schaeuble cited “spin doctors intentionally exaggerating the situation in off-the-record press briefings” as a significant factor for the perceived split and ongoing divergence in economic policy. One of Mr.Shauable’s sharpest critics is the former US finance minister Larry Summers who engaged in a panel debate with his German counterpart last Thursday. Mr. Summer’s esteemed position is that “it is wrong to believe debt problems can only be solved by reducing debt”. Adding, “growth leads to a reduction in the debt-to-GDP ratio as well”. 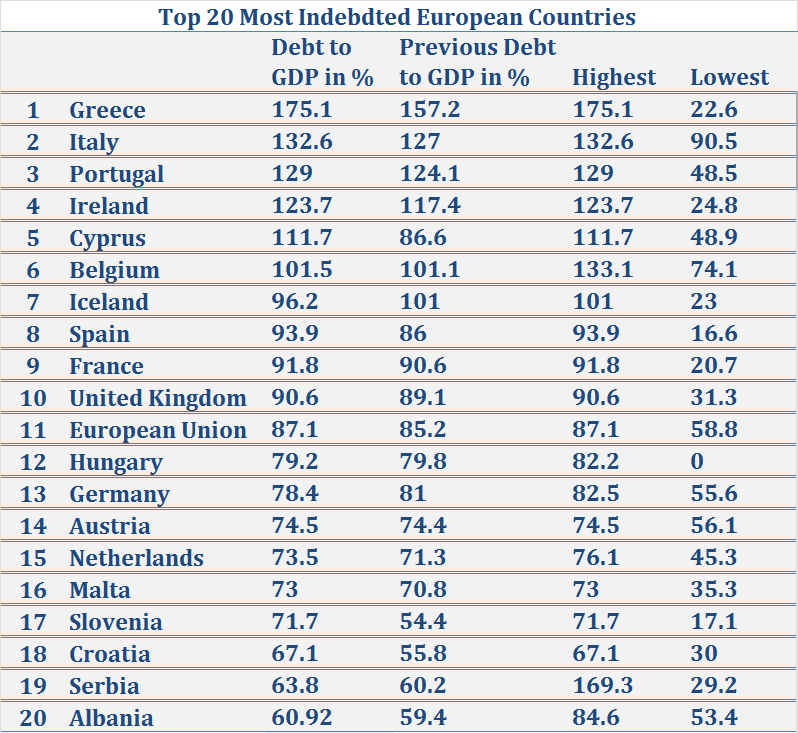 According to the IMF, countries such as Greece, Portugal and Ireland are prime examples whereby debt-to-GDP ratios are expected to increase until 2015 and broadly decline thereafter. Subject to revision to be sure. The alarming thing is that even if the projections are met (given past accuracy of IMF forecasts this is a big if), countries across Europe will have approximately the same debt burden in 2019 as they did in 2009, or even 2001. The debt problems are not being eradicated, they are simply being packaged into the future via longer term vehicles agreed upon at meetings spaced further apart. The rate of debt acquisition has slowed since 2008 but its reduction has not begun and will not begin until 2019 at the earliest- this applies to almost every developed country in the world. In Greece’s case, debt-to-GDP will start to fall back from a peak of 175% in 2014 to 171% in 2015, 162% in 2016, 153% in 2017, 146% in 2018 and 137% in 2019 according to IMF figures. Conveniently rosy forecasts if you were a sceptic considering that Greece is far from being set on a path to recovery with unemployment rates still high, investment low, confidence battered and social unrest simmering. A significant political factor is influencing the interconnected state of economic affairs in Europe. A slow but sure shift away from the political ‘centre’ and towards a more ‘left’ inclination amongst the disillusioned citizenry of Europe. Greece is on the precipice of taking the “radical leftist option” via the Syriza party. The Greek prime minister Antonis Samaras won a vote of confidence in the Greek parliament last week although the political mood in Greece (as well as other acutely indebted countries) is sharply divided and a snap election is a definite possibility next year. If the Syriza party is elected it would be the first time an IMF/EC/World Bank hostile political party has been voted into power in Europe. Given the fragility of all ongoing negotiations between various agencies, a Greek resistance or abandonment of existing debt conditions could be disastrous for the region and for the Euro. If the Greek nation rejects IMF/World Bank plans, other nations could follow suit and economic instabilities including sovereign defaults would be a plausible consequence. 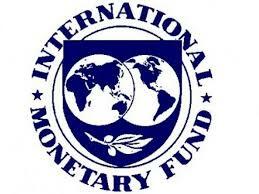 The IMF meetings are structured so that policy-makers from various countries can meet and discuss cross-border issues. 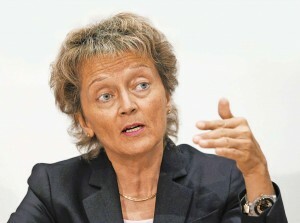 One such meeting took place between Italian and Swiss ministers over the failure between the two countries to reach an agreement aimed at fighting tax evasion over the past 6 years. It is hoped that an agreement will eventually lead to Switzerland opening up its bank databases to Italian tax authorities. Both Italian Economy Minister Pier Carlo Padoan and Swiss Finance Minister Eveline Widmer-Schlumpf said they spoke on the sidelines of the IMF meeting in Washington last week, but they disagreed as to what was said. The two ministers are caught in match of political ping-pong over negotiations that began in 2012, making Padoan the third economy minister to carry on the talks. “I told Padoan that my patience has a limit, and I reminded him of the number of finance ministers with whom I had to restart negotiations afresh, answering the same questions,” Ms. Widmer-Schlumpf said in comments broadcast by Swiss radio RSI. Switzerland has already established agreements with the UK and Austria to tax British and Austrian nationals and sees Italy as the next nation on its list. Successive governments have vowed to return the fiscal budget back to balance and relieve the pressure on civil budgets and Italian public sector workers. Unfortunately, Italian growth rates remain just as anaemic as most of Europe with 2 trillion in debt obligations yet to be funded. Padoan responded that Italy’s position has always been coherent but that he had “found the position of the Swiss delegation to have wavered over the past few months, and every step forward came with a few steps back”. Italy has an illustrious history of having one of the largest ‘grey’ economies in the world with tax evasion estimated to be a serious problem costing the Italian economy approximately 91 billion euros per year, according to the Italian Ministry of Finance.